Winner of over 50 medals in hockey, swimming, baseball and triathlon. Willie Littlechild has been involved in sports his whole life. Born and raised in Hobbema, some of his first athletic pursuits involved playing on the Ermineskin school baseball and hockey teams. His athletic ability was apparent and at an early age Willie realized the benefits of playing sports. Throughout his career as an athlete and builder he has strived to create opportunities for youth to improve their self esteem and realize their potential through sport. "His contributions on the international stage have benefited the global community." As an undergraduate in the faculty of Physical Education at the University of Alberta, Willie was a member of the diving team and played on the Golden Bear hockey team, winner of the Western Canadian Intervarsity Championships (1964-65). It was at the U of A that Willie developed his skills in sports administration by serving as vice-president of the Men’s Athletic Association and as student manager of the Golden Bear Basketball team (1966) and Canadian Champion Golden Bear Football team (1967). Because of his athletic participation, service and achievements, Willie received two U of A Major Athletic Block ‘A’ Awards, a Block ‘A” Ring as well as Athlete of the Year at St. Anthony’s College. Exceptional contribution to interuniversity sport in the areas of athletics, academics, community support and leadership. After graduating with his BPE (1967) Willie worked as a sports consultant and conducted coaches and referee clinics throughout Alberta. In addition he organized and executed many programs for Indian reserves in Canada and the US including: organizing the Indian Sports Olympics (INSPOL) to establish sports and recreational programs on Indian reserves (1969), the Native Summer Games to promote cultural games and sports competitions (1971), and the Indian Hockey Council to promote hockey among the native people (1973) as well as co-ordinating Alberta Provincial and the Western Canada Native Winter Games (1972). For 3 years in the early 1970’s he coached the first all Indian Central Alberta Junior Hockey Team, the INSPOL Thunderbirds (later became the Hobbema Hawks). Through his leadership, the National Indian Athletic Association (NIAA) was formed to organize and develop national championships in Canada and the US. While playing in the Jamaica Baseball League, Willie served as an International Red Cross volunteer and organized swimming and water safety programs for students of all ages. In 1975 Willie returned to the U of A and obtained his Master of Physical Education degree. Then in 1976 he graduated with a Bachelor of Law Degree, becoming the first Treaty Indian to do so. For this achievement he was named Honorary Chief of the Cree Tribe, the first such honour bestowed in 100 years. For his early athletic accomplishments and leadership qualities, Willie was awarded the Tom Longboat Award as the Indian Athlete of the Year in Canada in 1967 and 1974 by the Sports Federation of Canada. He also received the Alberta Achievement Award for Excellence in sport (1975). His athletic career was recognized again when he was inducted into the University of Alberta’s Sports Wall of Fame (1986). 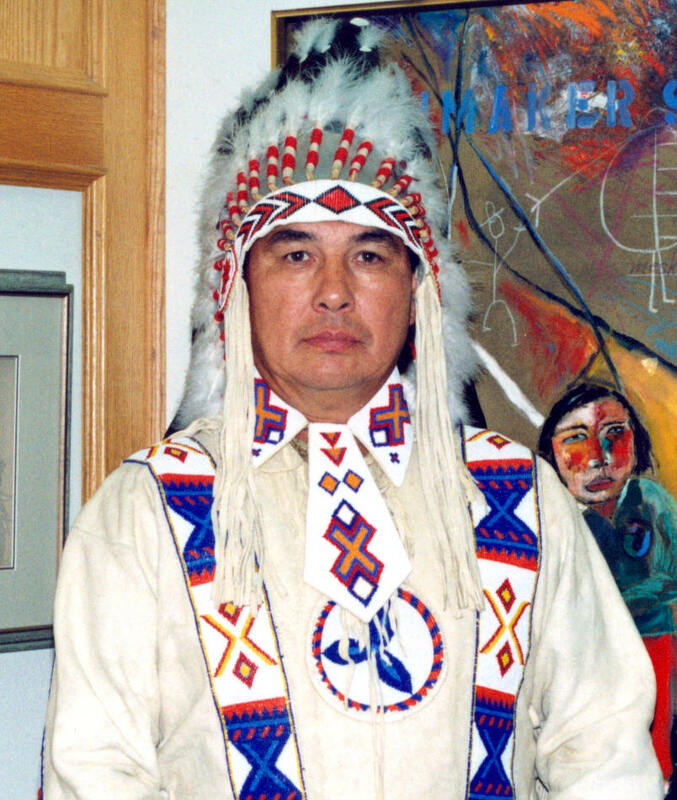 In 1989 the Indian Association Of Alberta established an award in Willie’s name that was presented annually for fifteen years to six native students for outstanding contributions to their communities as well as athletic and academic excellence. Willie has continued his involvement in sport both as a coach, athlete, volunteer and organizer. Locally, he was a volunteer coach in the Wetaskiwin Minor hockey program for 8 years and also coached the Wetaskiwin Olympian Swim Team to the Provincial finals. Since 1993 he has been the coach of the Alberta Swim Team at the North American Indigenous Games and a swimming official at these games since 1990. Willie was a member of the Wetaskiwin Colonel hockey team that won the Provincial Intermediate Championships. Since 1980 Willie has competed in 25 International Old-timers’ Hockey Tournaments throughout Canada, Europe, the US and Mexico as a member of either the Wetaskiwin Relics or the Hobbema Oil Chiefs. During that span his teams won 10 gold, 2 silver, 3 bronze and 4 COHA World Cup gold medals. In the North American Indian Athletic Association Fastball Championships Willie was on the Alberta team that was runner up in 1980 and winner in 1982. In 1980 Willie played for Edmonton and won the Alberta Provincial Twilite Baseball Championship. He also competed in the Indian Iron Man Triathlon and was 2nd in the Men’s Open in 1985 and in 1986 and 1987 was 1st in the senior ranks. As a senior competitor Willie has participated in the NAIG in swimming, winning 7 gold, 10 silver and 5 bronze medals. Willie competed in the 2005 World Masters Games placing 6th in the triathlon. In the Alberta Summer Games held in Wetaskiwin in 2005, Willie garnered 2 silver medals and as an Alberta team member in the 2006 Canada Senior Games won 2 gold, 1 silver and 1 bronze, all in swimming. Willie is a versatile athlete and has had a brilliant lifetime athletic career that is ongoing still. 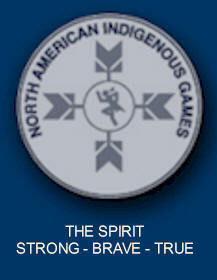 One of Willie’s greatest achievements is co-founding the North American Indigenous Games (NAIG). The idea for a Games of Indigenous Peoples came from a 1975 meeting of the NIAA that Willie attended. At the 1977 World Council of Indigenous Peoples Annual Assembly in Sweden, Willie presented a resolution to create an Indigenous Games on the Olympic concept. That resolution was adopted and 13 years later in 1990 Willie was the Honorary President of the first NAIG held in Edmonton. These games are now held every 2 years and have grown from 3000 to 10,000 participants in 17 sports. Willie is currently working as President of WIN Sports Inc. on the World Indigenous Games that will involve the Indigenous People of the world. 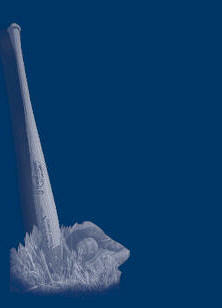 This concept has been approved by the UN and has the support of the IOC. 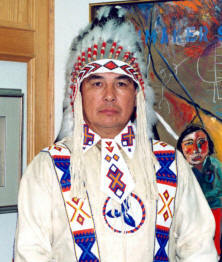 Willie was elected Member of Parliament for the Wetaskiwin constituency in 1988, becoming the first Treaty Indian to serve in this capacity. His tenure lasted until 1993 and during those years Willie served on many senior committees and was a parliamentary delegate to the UN in Geneva and New York. He helped draft the United Nations OAS Declarations on the Rights of Indigenous Peoples, included among the rights was the recognition of “sports and traditional games”. Willie is still a member of the United Nations Permanent Forum on Indigenous Issues. As a sports advocate, Willie has been a delegate to numerous conferences around the world dealing with sports, physical activity, physical education, women in sports and sports science, to name a few. Many sports organizations and schools have engaged Willie as a guest speaker at their awards and graduation ceremonies, a tribute to the respect and worldwide recognition he has earned because of his endeavours. Willie has distinguished himself as an athlete and a builder and has brought honour to his family, his community, the Province of Alberta and Canada. His contributions on the international stage have benefited the global community. We are indeed privileged to induct Willie Littlechild into the Wetaskiwin & County Sports Hall of Fame. Read the opening comments made by Sandra Wright when introducing Willie Littlechild.